On 11-13 October, Eastern Partnership Civil Society Forum (EaP CSF) participated in an international conference “Gender policies and practices of EU and EaP countries”, held in Kyiv, Ukraine – as part of EaP CSF Working Group 1 Re-granting Project “Increasing Capacity for Implementing Efficient Gender Policy and Practices in Countries of Eastern Partnership – in Accordance to ‘Eastern Partnership – 20 Deliverables for 2020’”, lead by NGO “Bureau of Gender Strategy and Budgeting”, Ukraine. 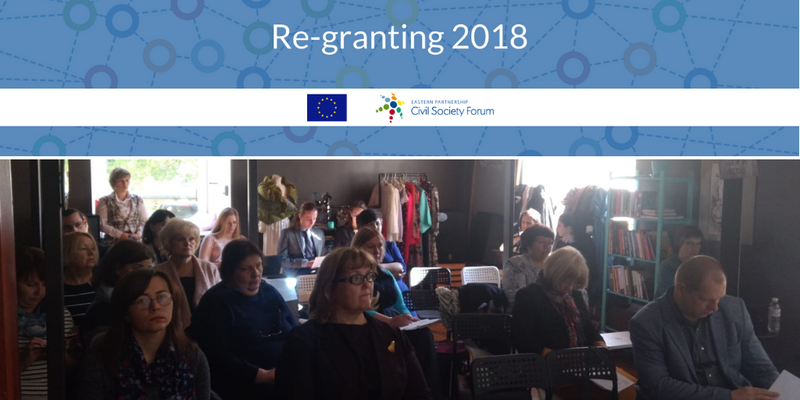 The conference brought together 30 participants from all six EaP countries – mostly representatives from civil society organisations, but also Ukrainian authorities, who demonstrated considerable interest in the project. Gender is one of the cross-cutting deliverables under the ambitious “20 Deliverables for 2020” plan, devised by the European Commission. The need for gender-driven policy initiatives such as gender mainstreaming have never been more relevant, or urgent – and continue to present challenges in many EaP countries. In some respects, the situation is actually worsening – especially in Azerbaijan, where civil society experiences many restrictions in accessing funds, even to carry out the most basic work. The conference provided an excellent opportunity to exchange best practices. The experience of the National Gender Mechanisms in Ukraine – presented by representatives from the Government Commissioner for Gender Equality Policy, Office of Deputy Prime Minister for European and Euro-Atlantic Integration of Ukraine – shows that strategies, addressing gender issues at the national level serve as a good “entry point” for the dissemination of practices and relevant information. There is an added potential for individual country Gender Action Plans, something that the participants discussed in extensive detail. Gender and non-discrimination should have their firm place not only in public policy, but beyond – here the participants learnt about the role of trade unions in advocating for change in the workplace and in negotiations with the authorities. That said, the conference has shown that there is a need to coordinate action and monitoring on gender across EaP countries. Strengthening gender experts’ networks, such as GenNET, and other, independent pools of expertise might be one solution to this problem. EaP WG1 Re-granting Project “Increasing Capacity for Implementing Efficient Gender Policy and Practices in Countries of Eastern Partnership – in Accordance to ‘Eastern Partnership – 20 Deliverables for 2020’” aims to bring gender and mainstreaming expertise into the activities of National Platforms – providing an opportunity for dialogue, sharing experiences and analytical evaluation of policies and practices.